If you’re in the market for a new pair of shoes, you don’t want to just pick up any old pair. Whether it’s a sturdy pair of boots or a dressy pair of heels, Kansas’ local shoe shops have you covered. With personalized service and a unique selection, here are a few of the best shoe stores in the state. Edwards Workwear has two locations, one in Kansas City and another in Olathe. A true family business, their website explains that “The Edwards family has been in the work wear and boot business since 1981.” Their workwear expertise comes from years in the farming business, giving them first-hand experience with what makes a durable and reliable shoe. Scheels is an employee owned regional shoe chain with options for men, women, children, sporting and more. Overland Park has the single Kansas location. Check out their website for recommendations for the cold weather, a gift guide, and to see which name brands they carry. Ride Four Ever is a shoes, clothing, and skate shop in Lenexa, Kansas. They stock a good mix of well-known brands, like Adidas, and custom equipment. Whether you’re a snow or skateboarder, you’ll find shoes to your liking. Comfort Plus Shoes is one of the go-to spots in Leawood, Kansas. 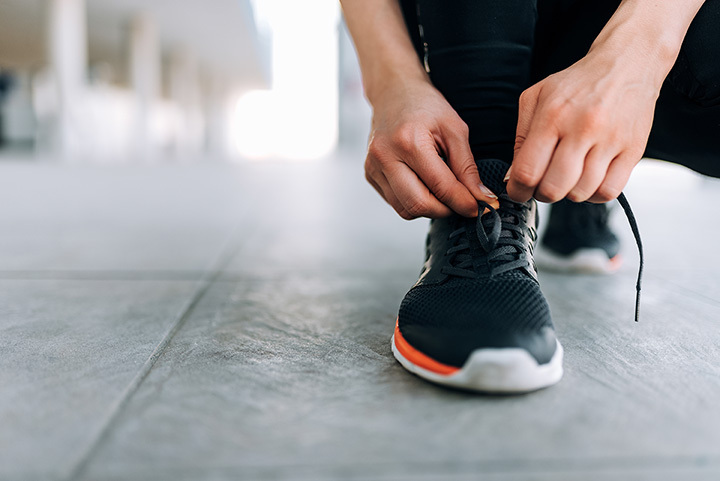 Unlike other shoe stores, Comfort Plus suggests you book an appointment sometime between 10 a.m. and 5 p.m.. During your appointment, they’ll take a look at your feet and offer shoe suggestions if you’re in any pain. Adastra Running in Lawrence, Kansas is known for their shoe options as well as their regularly scheduled races and events. The shop is locally owned, and was “born of a belief that our communities deserve a local running store, locally owned, and locally focused,” according to their website. The Foot Spa has two Kansas locations, one in Leawood and another in Overland Park (in addition to one on the Missouri side of Kansas City). They stock shoes for women and men for all occasions, including casual, dressy, athletic, boots, and more. They were recognized for their incredible customer service in 2015 and as one of the Top 10 Footwear Stores in America. According to their website, Foot Solutions specializes in “personalized assessments, stylish high-performance footwear, custom-fitted, custom-crafted arch supports,” and much more. What’s all that mean? If you experience foot or heel pain and think it could be your shoes, stop into one of their shops to have it checked out and walk away with a shoe that’s made for you. Tradehome Shoes is another regional chain with locations scattered throughout the Midwest. Tradehomes started in 1921 and has stuck to their core values of being an employee-owned company with quality goods. They’ve got almost 100 brands with all of the big names included, along with a few you might not have heard of before. No matter where you are in Kansas, you’re probably close to a Vanderbilt’s. They’ve got nine locations scattered across the state, including outlets in Wichita, Topeka, and Newton. Come in and see why customers have kept Vanderbilt’s in the shoe business for over 40 years.